jp once told me, you are like the monalisa, you are nice to look at, but not much use for anything else. that comment did not hit home until much later when i realised that i have been infected by the da vinci virus. 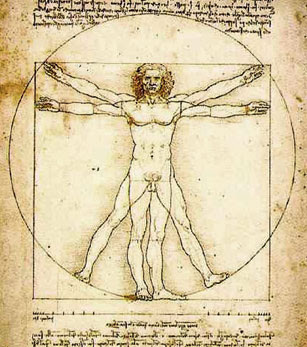 the da vinci virus infects the unknowing, but fully healthy individuals as host. before you know it you are one piece of work, err… art. initial morbidity reports claim that long-time sufferers eventually die alone. unfortunately, there is no known cure. there are anecdotal reports, however, that a good dose of talking-down-to by undaunted close friends can make the syndrome almost a manageable disease. look at the mirror and ask yourself, am i infected? better yet ask your most cheeky friend. sounds like a disease of my adolescence. @ zen - shall we set up a support group? 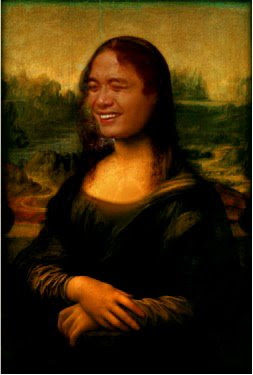 meron din ako ganyang mona lisa pic sa column ko way back in the college paper. Aliw! Now show me some lovin and vote for me as RBP's Blog of the week for week 7. Kampanya na toh! it's possible (but as you rightly note, not probable), the process is certainly not for the meek. its been a while i missd being here..
p.s monalisa k n sana my kilay lng.. tsuk! @ scheez - in denial ka lang. my gene runs in your veins kaya di pwedeng wala kang hawa. fantastic, kiel. kakaibang holy week reflection ito, medical pa ang argument. Oh dahling, tell me about it! This is an epidemic ha. @ kawadjan - join ka na sa support group. it can be a joint monalisa and mandals one. after all, having mandals is one rare symptom that is does not need any diagnosis! @ fuschiaboy - did i get that wrong? hmmmm. i refuse to correct myself - for elegance. tse!